After the enormous success of previous years we are pleased to confirm the dates for our 10th ANNUAL TOURNAMENT as the 13th and 14th July at Daventry Sports Park, Browns Road, Daventry, Northants, NN11 4NS. On behalf of the club I would like to invite your club / team to join us for a fun filled weekend of football and activities for all the family. U7’s, must be 6 years of age on the 13th July 2019, and this will be “fair play” with a memento to all participants. U7-U8s will be 5 aside to comply with FA Regulations. All other age groups will be 6 aside. Teams can name up to 10 players to play on the day. U8-U11s will be competitive and there will be a fair play memento to for all U8 and U9 participants. This event is extremely popular so places are limited and we recommend that you book early to avoid disappointment. Your entry will only be accepted on receipt of a completed application form with your FA affiliation number and full payment. Teams withdrawing 4 weeks prior to the tournament will forfeit their entrance fee. and then £35 from April 1st 2019. Please write your payment reference on the form. At any stage, if you enter 4 teams then you can enter an addition team for FREE, or if you enter 8 teams, you can enter 2 additional teams for FREE. Teams must be entered at the same time. All entries must be received no later than 1st July 2019. Do I register as Under 9s for the tournament? Your are correct, the age group you enter is for the 2019/2020 season. So current u8s will be in the u9s groups, u10s will play in the u11s and so on..
My name is Darren Roe. I am the president of a small Maltese football team called Dingli Swallows FC. I would like to bring a group of about 15 adults and 9 kids to the UK from the 11th July to the 14th July for your tournament. The group can be more or less. Can we enter your tournament? and can you help me with any suggestions regarding accommodation. Hi Darren, Excellent news, I will speak to two local hotels and see what the best rates are they can offer. My email is club.secretary@dtfc.co.uk and I will drop you an email now. Hi. We played in last years tournament as an under 10, so this year we would be classed as under 12, do you not go up to this age group? 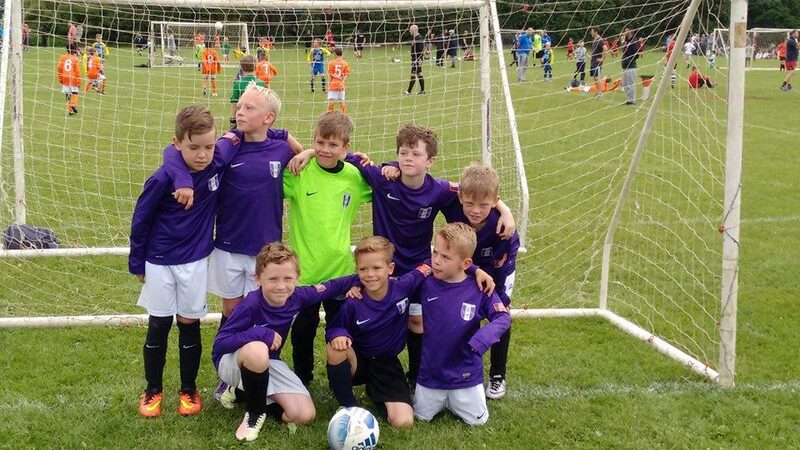 Hi Pete, Last year we had team photos take by a company which were immediately out of date so this year we have used next seasons age groups as we are so late in the summer. In your case, all the u10s you played against last season will enter as u12s this year.